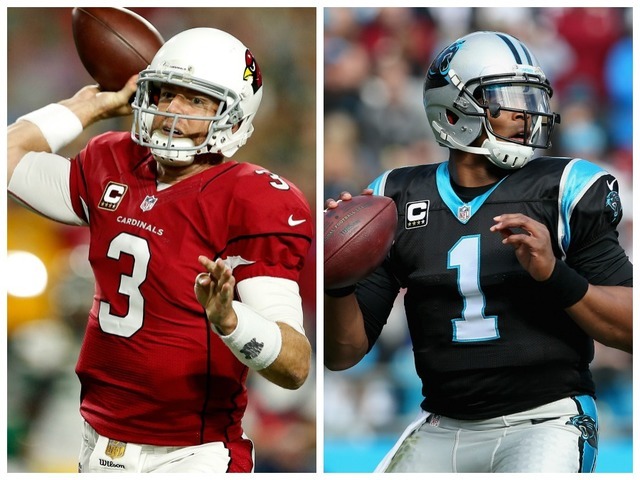 The NFC Championship game features a match-up of the Carolina Panthers and the Arizona Cardinals. At (14-3) the Cardinals have been one of the NFL’s best this season but it was the Panthers (16-1) who went nearly the entire regular season without a loss who always were talked about first. Now these two teams meet in what is expected to be a wildly entertaining game after last year’s playoff match-up left much to be desired. This year the Cardinals will have a healthy quarterback in Carson Palmer after being forced to start last year’s Wild Card round game with third string Ryan Lindley. Cam Newton is having an MVP type season and will look to defeat the Cardinals with both is arm and legs. FOX will have television coverage of this game beginning at 6:40 pm ET from Bank of America Stadium in Charlotte, NC. The Odds: The Panthers opened as a 3 point favorite and that remains the case in this match-up against the Cardinals. The over/under for this game is 47.5 total points.